What Is the Right Level of Precision for Aggregate Risk Analysis? One of the questions I commonly encounter is "How do you take something like FAIR and apply it to a big problem, like measuring the aggregate risk within an entire organization?" 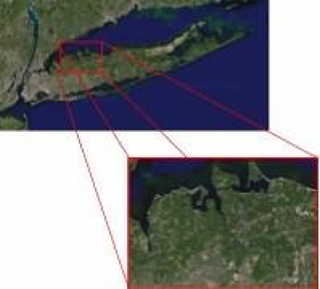 Imagine that you’ve been given the task of determining the surface area of Long Island. How are you going to go about it? 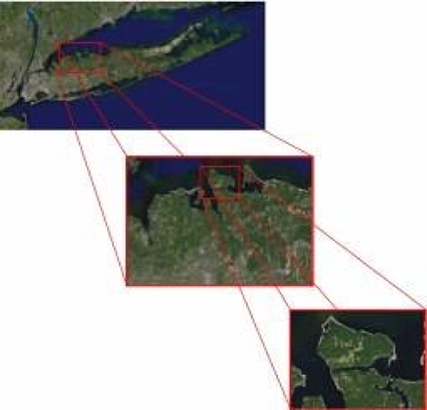 One way would be to use a satellite photo like the one below and make a rough estimate based on the level of available detail and an appropriate scale. With that information you’d probably report that the surface area is between X and Y square miles, with Z % of certainty. If this level of precision isn’t good enough, you might want to carve the area into chunks, zoom in, measure each chunk, and then add them all up. You could also take surveying equipment and go about the process of making measurements on the ground. Extrapolating these approaches, it’s conceivable (given sufficient time and tools) that you could try to measure the sub-atomic particles that make up the atoms, molecules, and objects that constitute the island’s surface area. Let me know how that goes. Harkening back to our notion of abstraction, you could carve the landscape even finer. Perhaps, for example, defining subsets of servers based on operating system, function, location, line of business, etc. Bottom line -- you’ll want to define a level of abstraction that provides useful information given the available time and resources. ... and/or become even more granular in your definitions. With your landscape defined, you’re in a position to begin a series of high-level FAIR analyses. It doesn’t matter what level of "elevation" you’re operating from, all measurements are estimates, which means there’s always some degree of uncertainty and error. Therefore, the question isn’t whether uncertainty and imprecision exists in a measurement, it’s a question of whether the degree of certainty and precision is acceptable. The acceptability of a measurement isn’t for the measurer to decide. It’s up to the people who are making decisions based on the information. What’s important is that they understand the degree of (un)certainty and (im)precision in the measurements being provided. Precision is often (always?) a function of size, complexity, how dynamic the problem is, the quality of available tools and methods, and the time spent measuring. In other words, the more precision desired, the more time/money that’s going to have to be spent. Accuracy and precision aren’t the same thing. I can be precise and not be accurate. For example an estimate that my 2016 income is going to be $2,352,004.32 is highly precise. Unfortunately, it’s not even close to being accurate (unless a miracle occurs). Conversely, an estimate that my income will be between $50k and $500k isn’t very precise, but it’s likely to be accurate. 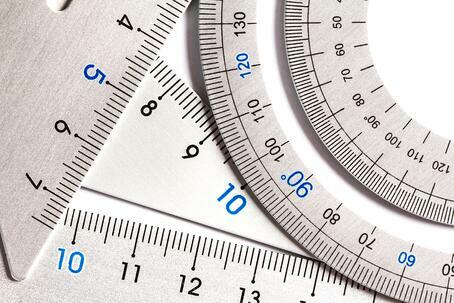 In an ideal world, we could be accurate and highly precise. In the real world, at least when measuring risk, you want to be accurate and have an acceptable degree of precision. When performing an aggregate risk analysis, start at a relatively high level of abstraction and let the results from that analysis guide you regarding where to dive deeper. This helps to ensure that you find a feasible level of precision while managing your time and effort effectively. For more blogs by me and other authors, sign up for our email updates. 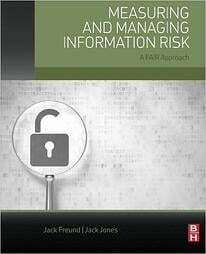 To learn more about FAIR, order the FAIR book for measuring and managing information risk.